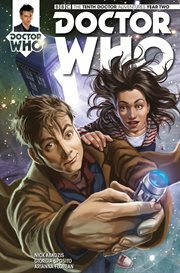 The item Doctor Who : the Tenth Doctor #2.11, Issue 2.11, (electronic resource) represents a specific, individual, material embodiment of a distinct intellectual or artistic creation found in Richland Library. After near-deadly adventures in the Jazz Age, the Doctor, Gabby and Cindy have tracked the murderous Noctures to the Disco-era New York City, 1978. Quite aside from the fashions, how will Gabby and Cindy deal with being stalked through their hometown by terrifying creatures, decades before they were born? !